This coming weekend Winnipeg Sailor Moon fans will get a chance to meet the voice of Sailor Moon herself, Terri Hawkes! She will be appearing as a guest at Ai-kon from July 17th to the 19th in Winnipeg, Manitoba. 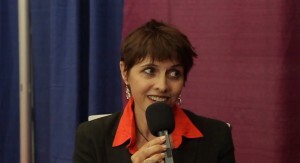 Terri Hawkes was the second voice of Sailor Moon, but likely the most recognisable to many fans of the original English dub having provided the voice of Sailor Moon for most of the first two seasons. Terri Hawkes recently co-authored Performing Motherhood: Artistic, Activist, and Everyday Enactments. Her contribution is the chapter “The Triple Threat” which deals with gender issues in theatre. 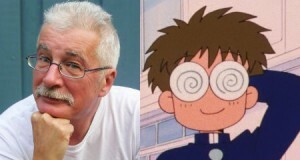 Last year at Unplugged Expo 2 Roland Parliament, voice director for the first 65 episodes of Sailor Moon and the voice of Melvin, announced that he would be releasing a book about the dubbing of the show. 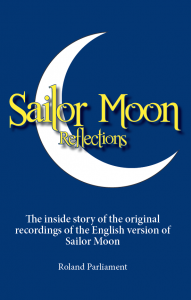 Sailor Moon Relections, the inside story of the original recordings of the English version of Sailor Moon, is nearing completion. In order to be published it needs pre-orders, which you can put in now by mail or through Pay Pal. Information about this pre-order can be found at Moon Chase. A hard copy of the book will be $20 for softcover and $30 for hardcover. There is also a $4.99 ebook option which does not require a pre-order. You can also check out Moon Chase to see excerpts of the book which include a foreword by Terri Hawkes, the voice of Sailor Moon. Check out the Sailor Moon 20th Anniversary voice actor panel at Unplugged Expo to see the original announcement of this book. 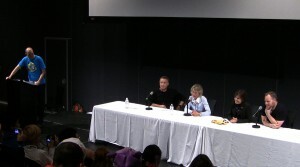 Here’s a video “Luduc versus le doublage” (Luduc vs. Dubbing) recorded at G-Anime 2013 in Gatineau which includes an interview with Terri Hawkes, the voice of Sailor Moon from the English dub of the Sailor Moon anime. This video is primarily in French but the portions with Terri Hawkes, which includes Sailor Moon saying lines from famous movies, are in English. Mixed in with this are two French interviews, one with Olivier Visentin, an actor who dubs French voices for English movies such as the voice of Jonah Hill’s characters and the other with Jackie Berger who is best known as the voice of Estaban from the French dub of “Les Mystérieuses Cités d’or” or “The Mysterious Cities of Gold”, an anime show that was quite popular amongst French Canadians. Check out Luduc’s YouTube channel for more of his convention videos. 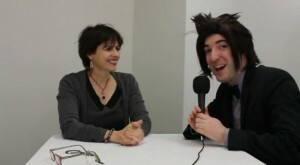 Readers may recognize the room these interviews are done in from our interview with Terri Hawkes at the same convention. 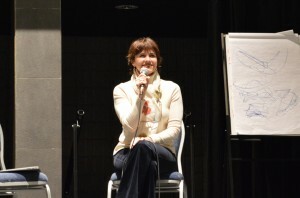 Here is the second panel by Terri Hawkes, the voice of Sailor Moon, from this year’s G-Anime convention in Gatineau. 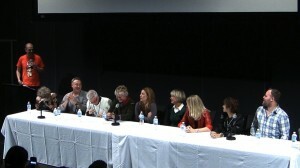 In this panel Terri talks about what it’s like working as an actor, writer and director in the entertainment industry. It’s mainly geared towards people who are interested in pursuing this kind of work. 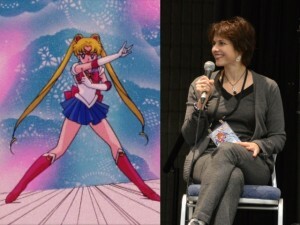 There is some mention of her time working on Sailor Moon so fans of the show should check it out. 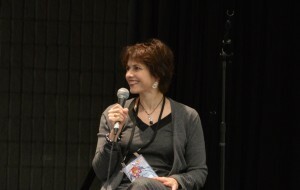 Also be sure to check out Terri Hawkes’s panel on voicing Sailor Moon as well as the interview I did with her at G-Anime.